This weekend’s South Coast Championships run by Cowes Corinthian Yacht Club was closely fought champagne sailing – glorious sunshine with steady 10- 12 knot breezes – the Solent at its best. The seven competitors jousted through six windward leewards on the Bramble Bank finishing within seconds of each other on most races. 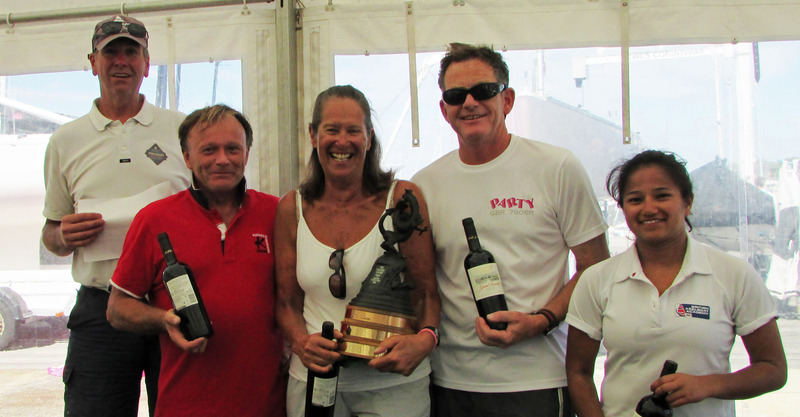 There were battles aplenty but eventually Gavia Wilkinson Cox sailing Jerboa with Mark Hart, Roger Guy and Emily Lau too the honours only just trumping Aimee – sailed by BDA Chairman Julia Bailey, Graham Bailey and Bill Daniels – on countback. Aimee take home the Oscar Cup for 1st Corinthian. 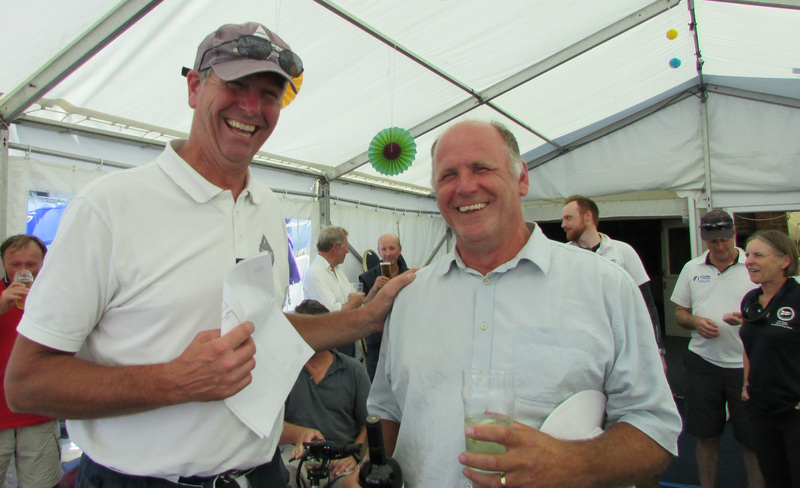 At the prize giving in the club, Dragon Class Captain Owen Pay thanked Joliffe’s Chandlery for their sponsorship of the event. All competitors joined in congratulating PRO Richard Palmer and his team for excellent race management. It was a vintage weekend on the Solent!